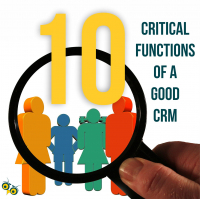 The Power of a CRM - the marriage of sales and marketing. Both articles written for a 2-part series in Staging Standard Magazine 2018/19. The big boys do it, but SMBs overlook it. The sales are in your email list. Use it! All email campaigns are structured to do one thing - move your customer from one stage of the buying journey to the next. The holiday season is a time to drive sales, boost revenue, and gain momentum for the new year. To help, we compiled a list of holiday resources and tips. Getting people to subscribe to your information is a challenge. We're sure you've read these 1000 times, but a reminder now and then never hurts, so we've put together 10 ideas to help you build that list. 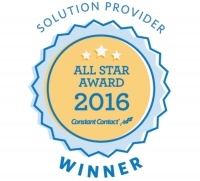 Prowl Communications, a local marketing and sales training agency, has been named a 2017 Solution Provider All Star Award winner by Constant Contact, an Endurance International Group company and a leader in email marketing solutions. 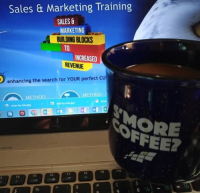 Nurturing customers post-sale is a great way to maximize cross-sells and upsells. Triggered messaging is a perfect way to suggest testimonials, ask for product reviews, and send referral incentives. 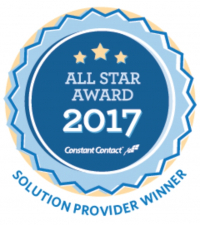 “We’re happy to be recognized by Constant Contact for achieving strong marketing results and engaging with our customers, said Debi Katsmar, Prowl Communications Marketing Strategist. “We have been honoured with this designation since 2008.